* A 20% discount on all wine purchases! * A glass of wine on us for you and a guest on a different day each week. * A tasting party for you and up to twenty of your guests on the anniversary of your Wine Club membership. 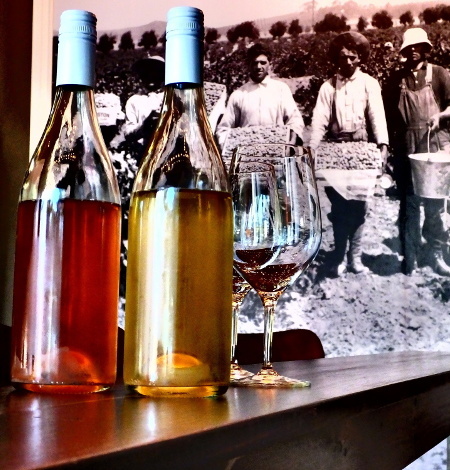 * First priority on new releases, special releases and reserve wines. * Club-only events, plus discounts and early invitations to general events. * Each month your credit card is billed $25+tax, and $25 in reward points are put on your club account. * Unused points accumulate (rollover). * Your first $25+tax is billed at sign-up, and your first $25 in points (2500 points) will be put on your account. * Points cannot be redeemed for cash or transferred between club accounts. * Club can be canceled any time after three months by emailing club@charlieandecho.com. * Club membership will be canceled automatically if we are unable to process your ongoing billing within 30 days of due date. * Membership benefits do not apply to points used on cancelled memberships. * Cancelled memberships with remaining points will be subject to a monthly maintenance fee deducted from the remaining points. 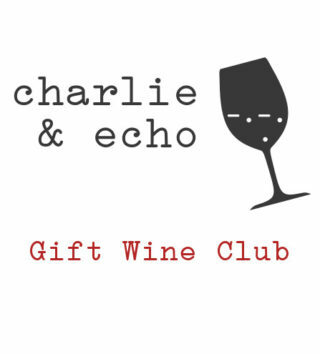 By joining the wine club, you authorize Charlie & Echo to charge your credit card for agreed upon purchases, and understand that your information will be saved to file for future transactions on your account. Note the Club discount does not apply to other items in your cart if you are not yet a Club member. To receive the discounts, first purchase a Club subscription, then purchase other items in a follow up transaction.